Motion capture is increasingly used in games and movies, but often requires editing before it can be used, for many reasons. The motion may need to be adjusted to correctly interact with virtual objects or to fix problems that result from mapping the motion to a character of a different size or, beyond such technical requirements, directors can request stylistic changes. Unfortunately, editing is laborious because of the low-level representation of the data. While existing motion editing methods accomplish modest changes, larger edits can require the artist to “re-animate” the motion by manually selecting a subset of the frames as keyframes. In this paper, we automatically find sets of frames to serve as keyframes for editing the motion. We formulate the problem of selecting an optimal set of keyframes as a shortest-path problem, and solve it efficiently using dynamic programming. We create a new simplified animation by interpolating the found keyframes using a naive curve fitting technique. Our algorithm can simplify motion capture to around 10% of the original number of frames while retaining most of its detail. By simplifying animation with our algorithm, we realize a new approach to motion editing and stylization founded on the time-tested keyframe interface. We present results that show our algorithm outperforms both research algorithms and a leading commercial tool. Supplementary material is available in the online version of this article at https://doi.org/10.1007/s41095-019-0138-z. Richard Roberts researches into artist-directed tools for animation and visual effects work. Roberts is a currently a research fellow, developing a facial mocap and animation pipeline for the production of a VR narrative experience. He has worked briefly in industry, receiving credit in the Adventures of Tintin, and also has a background developing virtual machines for high-level programming languages. J. P. Lewis is a numerical programmer and researcher. He is principal research scientist at SEED, the new research lab of Electronic Arts, and is an adjunct associate professor in the machine learning group of Victoria University of Wellington. His interests include computer vision and machine learning applications in entertainment. He has received credits on a few movies including Avatar and the Matrix sequels, and several of his algorithms have been adopted in commercial software including Maya and MATLAB. Ken Anjyo set up and headed the research and development division of OLM Digital, the digital production company in Tokyo famous for the Pokémon movies and other 3D animated feature films. He became the company’s CTO and is now its executive R&D adviser. He is a board member of VFX-JAPAN, the Japanese association of domestic digital production companies, and a member of the Visual Effects Society. Since 2018, he has also been working as the director of the Computational Media Innovation Center at Victoria University of Wellington. Jaewoo Seo is a director of R&D at Pinscreen. His research interests include facial animation, motion capture, and GPU programming. Before joining Pinscreen, he was in the visual effects industry as an R&D engineer at ILM, Weta Digital, and OLM Digital. He received his Ph.D. and M.S. degrees in culture technology from KAIST and B.S. degree in digital media and in computer and information engineering from Ajou University. Yeongho Seol is interested in developing fundamental computer graphics and vision technologies and making them useful in real-world VFX and animation production. He is experienced in a range of motion capture related technologies and works as senior motion capture developer in Weta digital. Many researchers and artists have contributed important insights to this research. The authors would like to give special thanks to Ayumi Kimura and other staff of OLM Digital, to Johan Andersson, Ida Winterhaven, and Binh Le of SEED, Electronic Arts, and also to Ian Loh and other staff of Victoria University of Wellington’s Computational Media Innovation Centre and Virtual Worlds Lab. The authors would also like to thank the Moveshelf team for supporting the web-based presentation of our results. Supplementary material, approximately 145 MB. The U.S. game industry has 2,457 companies supporting 220,000 jobs. 2018. Available at https://venturebeat.com/2017/02/14/the-u-s-game-industry-has-2457-companies-supporting-220000-jobs. The games industry in numbers. 2018. Available at https://https://ukie.org.uk. 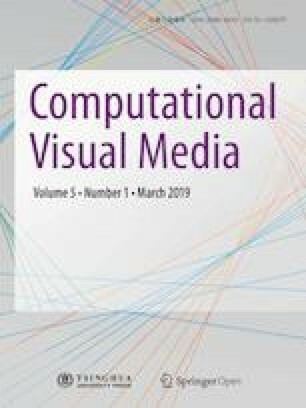 Bulut, E.; Capin, T. Keyframe extraction from motion capture data by curve saliency. Available at http://www.people.vcu.edu/∼ebulut/casa.pdf. Adobe Mixamo. 2018. Available at https://www.mixamo.com.